Dry fruit (matured ovary) composed of two or more carpels that split open at maturity to release the seeds from the locules (chambers); commonly called a seed pod. 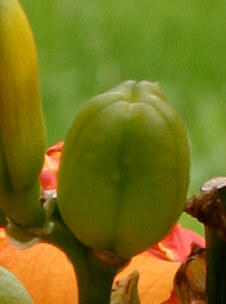 Typically a daylily capsule has 3 locules. See also: ovary, carpel, seed, locule, pod.